As the release date of Super Smash Bros. for Nintendo 3DS fast approaches, you might take a moment to ponder why Super Smash Bros. for Nintendo Wii U isn't coming out simultaneously with the 3DS version. Series creator, Masahiro Sakurai explains why. In his semi-weekly column in Weekly Famitsu, Sakurai noted that at the time of writing, he is currently in the middle of the debug process for the 3DS version of the new Smash Bros. Debugging is where a team tests a game for any unintended glitches for the programmers to fix before the final product is released. The process is time-consuming, painstaking, and potentially ripping-out-fists-full-of-hair frustrating. "Checking is done both domestically and overseas, so for a game like Smash Bros., several hundred people are employed." Sakurai explained. "So, debugging alone becomes a huge project. So much so that one of the biggest reasons for the separate release dates for the 3DS and Wii U versions was so that we could shift the debugging periods." As gamers, we are able to laugh at funny glitches, and yell at developers over game-breaking bugs that are stumbled upon by accident, but very few of us are subjected to the process of actually finding them. With a game like Smash Bros., the varying combinations and complex coding involved is mind-blowing. "In a previous Smash Bros., we found a bug during the debugging process where if fighter A hits item B and fighters C and D are simultaneously affected, the game would freeze." Sakurai recalled. "Considering not only the different fighters, but items, stages, colour settings, play rules, and game modes, the number of varying combinations is astronomical. In order to properly debug, every pattern must be tried, but such a task would be impossible no matter how many decades or centuries you take." While this doesn't necessarily excuse the existence of bugs – give me back my damn save data, Fallout: New Vegas – it does make you empathise with the hundreds of individuals who have to play the same parts over and over trying to find any bugs. "There are many reasons why a game's release date will be delayed, but eight or nine times out of ten, it's usually because a bug couldn't be fixed in time." Sakurai wrote. "But it's better than releasing a product like that." I suppose we can wait a little longer for the Wii U version of Smash Bros. So long as both versions are awesome. Super Smash Bros. for Nintendo 3DS is scheduled for release in Japan on September 13th, in North America and Europe on October 3rd, and in Australia on October 4th. 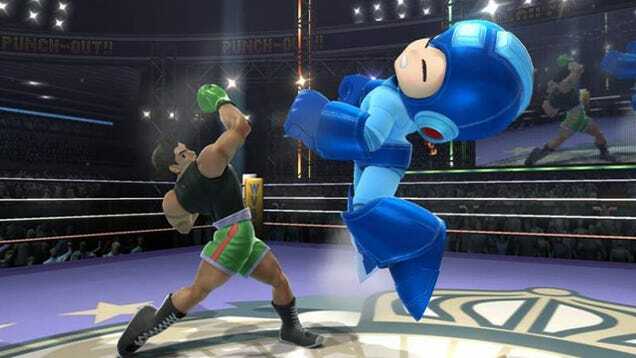 Super Smash Bros. for Wii U is scheduled for release 4th quarter, 2014.